Unless using fingerprint scanner to open your front door, keys are one of the most essential stuff in your everyday carry. They are small to easily put up in any pocket. However, its huge lump is truly inconvenient. Another common way is hooking them into your belt loop but, they’re too noisy to make people from distances to hear you coming. To that end, here in this collection, I will go over some better options to keep your key silently and neatly. The best key holders ever on the market! It must be more convenient to many times when you go to a baseball match with a slim wallet hooked to your belt. Why? 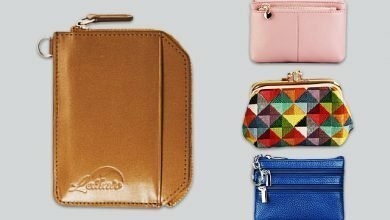 Because this cool way of hanging your wallet will help you quick access to your EDCs when in need such as buying drinks or foods. Or during the match, I bet you will make a lot of movements, like standing, sitting down, jumping and cheering up for your team. A wallet placed in your back or front pocket will be risky to slip out anytime. In terms of daily use, this tiny D-shaped ring takes its role in keeping your keys neatly and easily to find. Or, you can attach it to your bags or backpacks when in need. This detail is super convenient and useful that I think you should exploit it thoroughly. 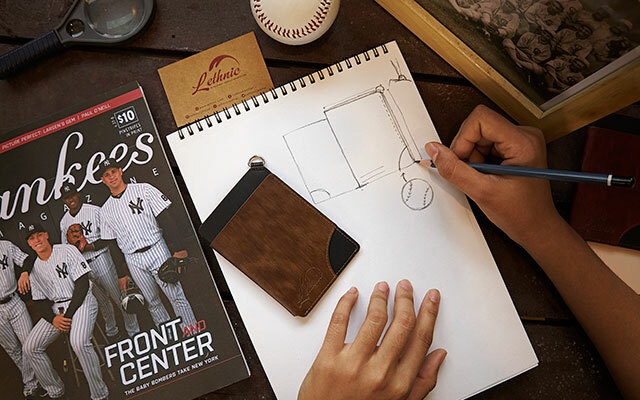 Speaking of designs and function, Lethnic MLB Baseball Sport Wallet is featured as a minimal silhouette with the maximum reduction of excess seams and stitching and the decrease of storage slots. In fact, this little bad boy just has three functional compartments where you can put in both cards and folded cash without a burden. This organization includes 1 ID windows on the backside. And this is the thing you should take note: though the entire wallet is equipped with RFID Blocking Technology, only this clear ID slot isn’t due to its construction. So, it’s ideal if you toss in this storage space your less important cards such as employee ID card or school identity. Never with your bank cards! And moreover, there’s a 30-day warranty to cover any defaults from manufacturing process. 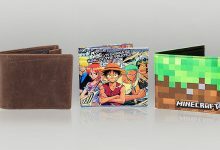 Thus, just feel ease in mind to give this wonderful wallet a try. 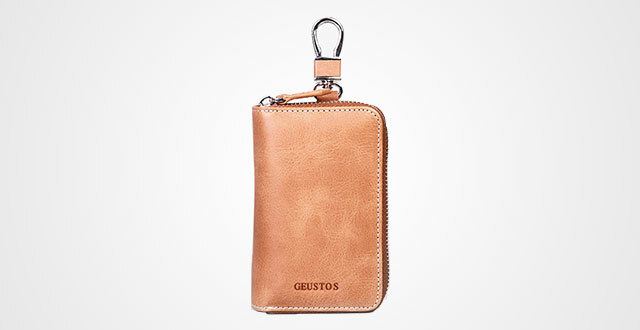 RusticTown has plenty of high-quality leather goods, and this key holder is not an exception. Made out of supple and superb soft premium leather, strong and durable hardware, plus the elegant packaging, this masculine key wallet is perfect as a present for friends, family and co-worker on any special occasions. This is a meaningful and practical gift, for sure. 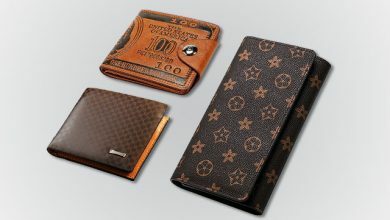 Measured by 3 x 1 x 4.2 inches, it’s unbelievable that this wallet features a trifold silhouette. Might it even slimmer than many bifold out there on the market. To that end, you can easily carry it to anywhere. Dive deeply into its interior, you will see 6 hooks stacked sturdily in the middle and some card slots in both sides. There is also a snap to keep the wallet shut, which is also my favorite. I hate it always open in my bag, which is risky to lost my belongings. 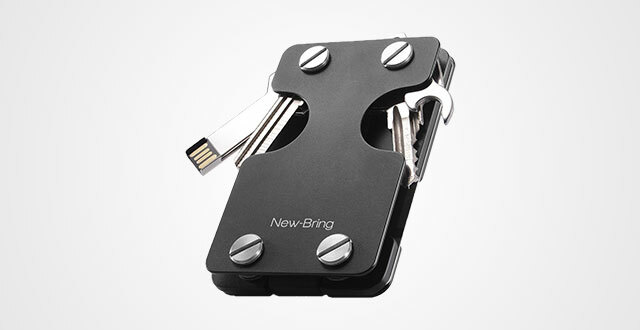 For those who want to slim down their keys, this Heshe is surely the one for you. 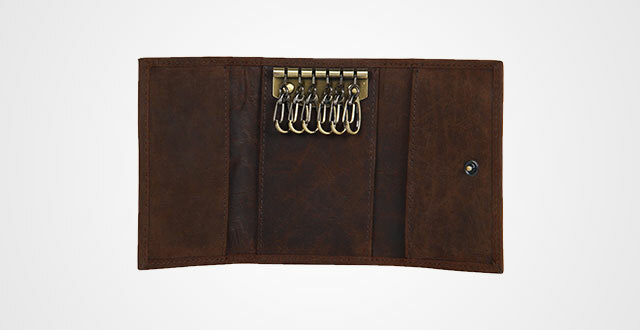 This key holder will stack your keys one by one in a key ring with 6 hooks covered by a soft piece of genuine leather and closed by a snap button. With this construction, you can freely take whichever key you need while keeping the others stay neatly and securely in place. You will see two snaps to fit different numbers of keys. 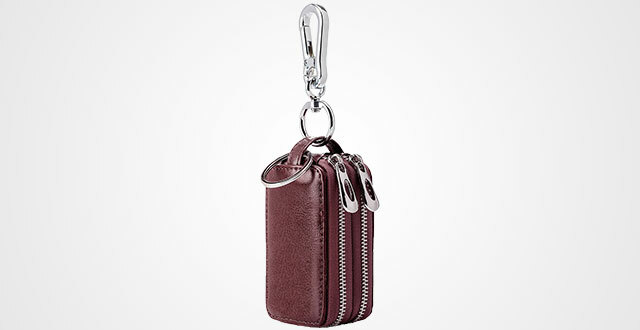 Apart from this key ring, there is also 1 card slot in the middle, 1 detachable car key ring and 1 side pocket where you can put up some changes. This HaloVa in Apricot in color also features 6 hooks for keys like the Heshe, but its design is a little bit different. Instead of using snap like the Heshe, it is closed by a metal zipper to offer better security. 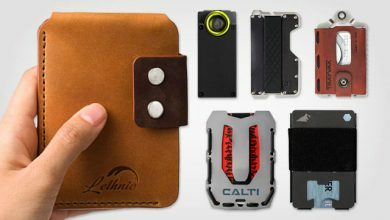 Besides, it comes up with larger capacity and better organization with 2 card slots and 1 removeable key chain for car key. Worry free about rust, or fade as this wallet is made out of high-quality genuine leather and strong silver-toned hardware. Another difference is though this HaloVa doesn’t have dual snap to adjust its storage, it does provide two particular sizes for better specialization. Lastly, it’s backed by the manufacturer. Leather die-hard fans, show me your hands! Like almost key holders above, it comes up with a purse and belt hook that’s made out of high-quality stainless steel durable metal. The biggest difference is the additional piece of leather to provide better coverage and protection to your key, especially the car key. Besides, the material is another thumb-up. Speaking of leather, it’s crocodile embossed genuine cowhide leather for a perfect combination of luxurious look and durability. It’s easy to use as well! Twist the screw nail, loop your keys into it and twist back. Done! If you want to add some more keys, repeat the steps – just take you less than 1 minute. Pretty quick, right? Another good point is the snap button attached to the side of this key holder, which allows you to keep your keys closure, neat and secure. Now, with it, you can hook your keys into the belt loop, into your wallet, into your backpack, into a hook or simply place it in your pocket. It’s small – only 4.3 x 1.9 x 0.7 inches, fitting even your front pocket as easy as a piece of cake. On top of that, look cool! Choose from three color options (which are also easy to style with different outfits): black, blue and brown. Besides, to help you try this product with ease in mind, Lethnic – the manufacturer – also offer 30-day money-back warranty. Very thoughtful! If you like your keys stored in a wallet that look-alike a future gadget, this New-Bring is one of the best key holders to choose. Its dual clever straps let you slide out your keys easily with just a thumb, making this key holder perfect for one-handed use. 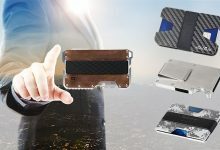 The wallet is made from industry-leading aluminum with striking strength and durability so, just worry free to use it everyday with no fears of breaking. Another good thing is its ultra-slim design and drop resistant ability to leverage its longevity and beauty. Measured by 5.2 x 4.2 x 0.9 inches, plus the elastic band as a money clip, you will love bringing along your cards with this New-Bring. 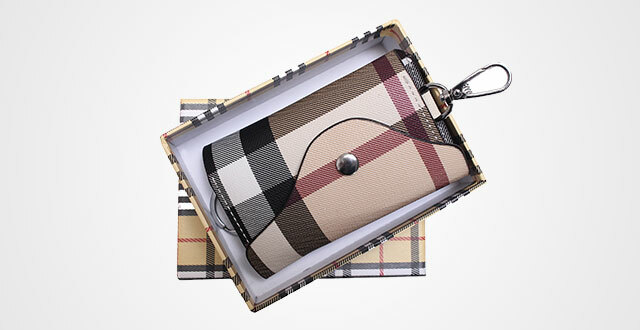 Because this wallet is also a card holder, the manufacturer added RFID Shield to optimize its security, keeping those prying eyes of hi-tech thieves at bay. Go out with this New-Bring and ready to hear compliments, men! Next up is a Mini Keychain Wallet (from Lethnic, again). 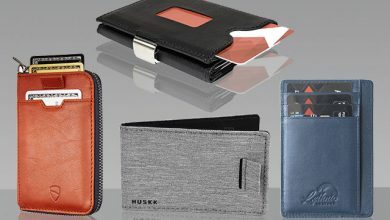 As always, their slim wallet product line impresses me by their incredible thin silhouette, only 0.2” to 0.3” and in generally, their design is pretty compact to stay neatly in your palm. Meanwhile, its construction guarantees two things: wise arrangement and spacious space. Can’t imagine that in this tiny wallet, there are 3 card slots, 2 slips, 1 ID window and 1 spacious compartment for folded bills. From that point, you can put in 6-10 cards without a burden and each single slot is designed to fit different sizes of cards. Plus, its stylized curved rim helps a lot for quick and easy access. Unlike many other slim wallets which only scores due to its slimness, but it’s absolutely a zero for the functionality, this Lethnic Mini Wallet can fit your daily EDCs as easily as you make your morning coffee. 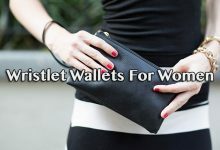 Besides, its lightweight plays an important role to keep you feel free while carrying along your properties though the whole wallet is made out of 100% high-quality cowhide leather. The texture is really soft, smooth and durable that I can make sure it will serve you for years. 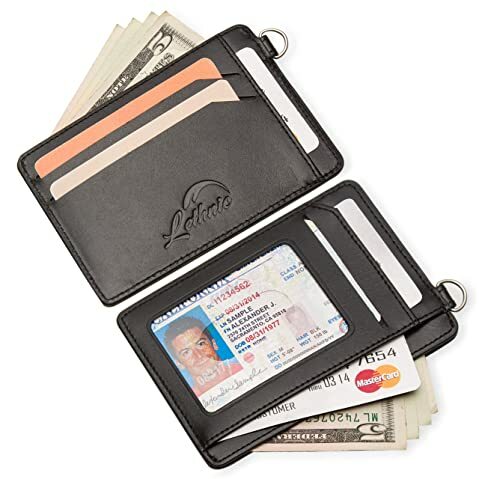 Like other wallets, this one is attached with a D ring to conveniently hook to your keys, belt, backpack or a lanyard to be utilized as an employee ID card holder. Moreover, the built-in RFID Blocking Technology is another great bonus to keep your valuable stuff against hi-tech thieves. Thanks to it, you won’t be afraid of losing your identity information or your money anymore, especially when traveling abroad. Keeping your keys and other stuff well-organized sometimes is the best way to carry and quick access, and the BaouBow surely does the thing. Its dual zippered pockets made out of the finest genuine leather will not only bring up extra security and organization, but also the ease for carrying as well as durability. Measured by 3.74-inch x 1.97-inch x 1.38 inch, the wallet includes 2 key rings for clipping your home or car keys and 1 bigger chain clip. It enables to keep quietly 5-6 keys without bulk. Not only such high-quality material secures your belongings from getting lost or scratches, it will also nail your style as well. 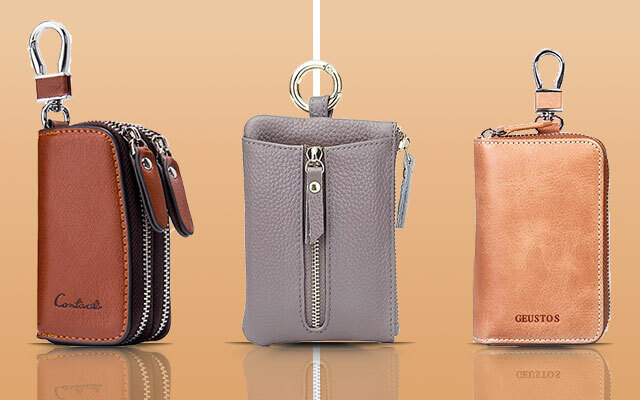 Functional and compact – that’s what you will get when it comes to this Aladin Womens Leather Wallet. 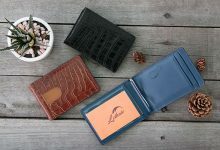 Figured not only as a key case, but also a card holder and a coin purse, it is measured by 4.9″ x 3.4″ x 0.5″, small enough to stay neatly in your hand yet large enough to fit up cards, coins and keys without burden. I do appreciate its design and optimal organization. There is a major big zippered pocket in the middle where you can put up your valuables like bank cards, ID cards, coins and a couple of folded cash whereas the outer smaller zipper is for keys. Inside this pocket, there are 6 sturdily made metal hooks for 6 keys. This is a moderate number to fit up the standard demands of most people, including your home and vehicle keys. There come five color options, matching nicely with the gold-toned hardware and soft genuine leather to deliver a luxurious and stylish look. Plus, it also has a small key ring on the side, as well. This ZLYC is one of the best key holders in top wish list of the site. It’s functional and convenient as here, you can bring your vital stuff alongside and get ready for the go. 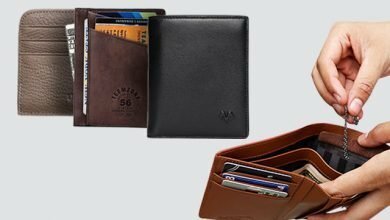 There is a spacious card slot in which you can accommodate up to 2-3 cards and a couple of folded bills for quick changes. On the other side, there are 7 hooks for keys where you can place your home and vehicle keys one by one for quick access. The whole wallet is made from 100 percent genuine leather hand crafted by the best artisans with alloy and brass hardware. Non-zipper design helps itself prevent from wearing out. Besides, its sturdy snap button is another plus point, too. Choose from three color options, either black, brown or coffee. 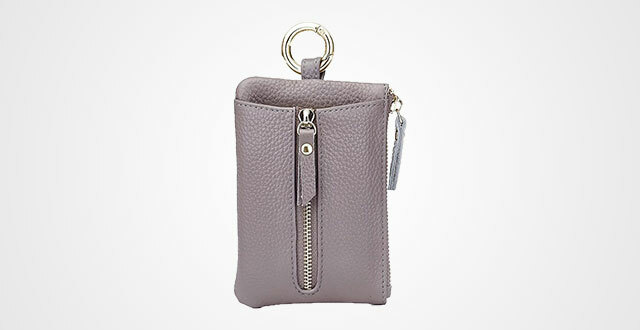 This Jian Mai combines a common key pouch with a zippered coin pocket and is a tried and true Key Holder. 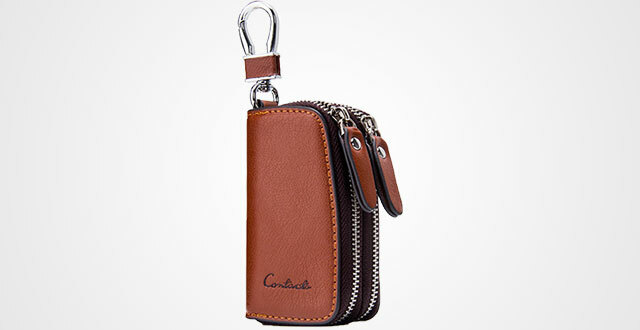 Its body is made from genuine leather while the hardware is high-quality stainless steel. To that end, chances of breakages or wears and tears are minimized. Measured by 3.9 x 2.4×1.2 inches, plus 2 Small Key rings and 1 big hook, this wallet can fit up 5-6 keys without bulk or messy. Not saying that you can store some more coins, cash and stuff like that on the other zippered pocket. If you still have some doubt at this wonderful key holder, then don’t as Jian Mai already offer a 100 percent money back guarantee. It’s worth a try, guys! For those who just need a minimalist key holder for better protection and organization for your keys, this cool Shvigel is the best option. 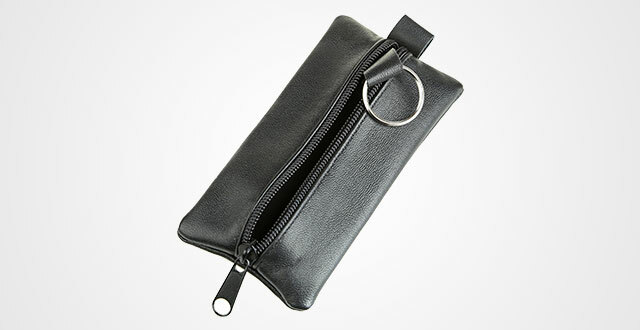 Measured by 5.12 X 2.56 inches, feel worry free to attach your keys in different sizes into this convenient pouch. And it’s spacious, too. You can accommodate up to 10-15 keys without bulk. Not saying that, inside this pouch, there is a key ring to attach all your keys and manage them well-organized without damaging other objects. 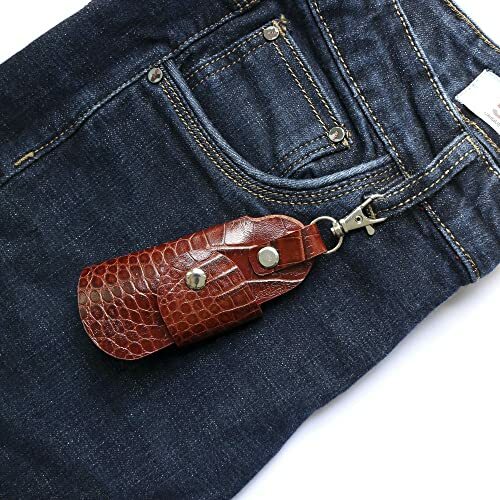 This leather key holder also has a small loop on the top where you can attach to either your pants, belts or backpack. 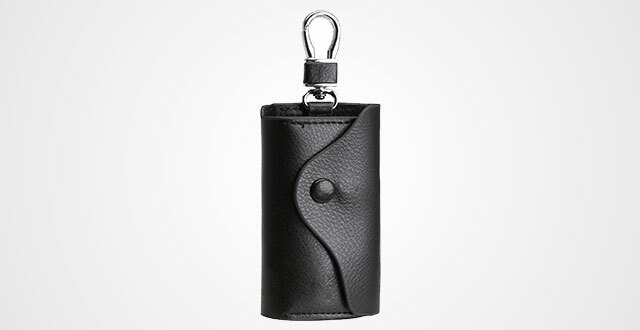 This unique handmade key pouch is made of 100 percent genuine leather for strikingly soft and smooth texture. Besides, it’s durable and longevity as well to surely serve you for years. Let’s face it, most key holders or key pouches look like the same which is a little bit difficult to recognize it from distances. If you feel this is a big nuisance, then I highly recommend you to opt for this Olivery. Its striped color pattern delivers both outstanding and elegant look to help you find out which is your key holder quickly. You needn’t worry about its durability and protection ability as it’s made from high-quality PU leather and hardware, plus neat stitching and well-made lining to bring an incredible water and scratch resistance. Its interior has 6 key hooks, 1 car slot and 1 split key ring, measured by 4.3 x 2.8 x 0.4 inches, its exquisite organization allows you to fit up 6 keys and other vital stuff like cards and coins safely and neatly. Moreover, the pouch is backed by a lifetime warranty. So, why don’t give it a try? This article saves your time on searching around for a durable, compact, longevity and functional key holders from reliable brands. To that end, don’t doubt at the quality or warranty of each product anymore, but just consider which is the best key holders for you to satisfy both your life and style. Good luck!